This grant is for schools that agree to teach tennis in Physical Education (PE) classes as a part of their curriculum. 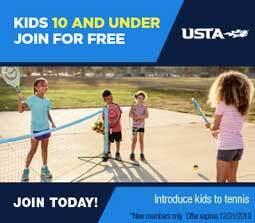 The USTA provides training and curriculum for schools and PE Teachers that wish to teach tennis in PE, and offer assistance in obtaining free or discounted tennis equipment (racquets, portable nets, balls, lesson plans) for school districts or schools. Contact Angie DeLeon or call 1-800-349-1683 with any questions.